Oh how amazing the last few days have been. I have to say I have not had this much fun in a very long time and I am so glad I went on the trip. We bonded so much and it's a shame we didn't do it at the start of the year. I am really going to miss all these guys once college is over. I need to keep in contact with them forever. They are now stuck with me haha. Our caravan was where it was poppin'! There were officially five of us in our van, one being my best friend but the two boys and one of the girls from another caravan was always in ours so we had such an amazing time. 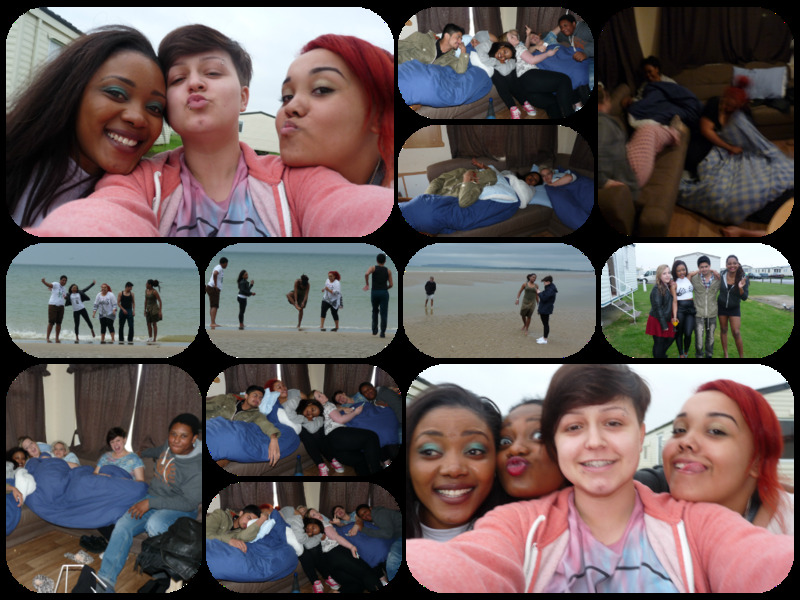 We drank loads, danced loads and had random chats to the early hours of the morning. We went swimming, got trikes and all round had loads of fun! Sorting out the music for the night. How the first night ended! I'd never change this holiday for the world, everything worked out perfectly, even though the weather wasn't amazing it didn't spoil our fun!